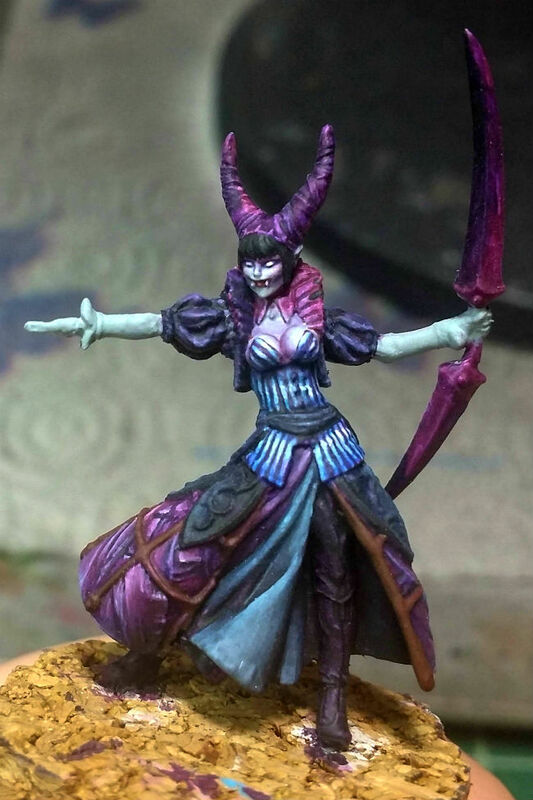 Here are some quick shots of a very WIP Wrath of Kings Goritsi Zeti vampire chick. I do wish the details on this model were a little less…soft. 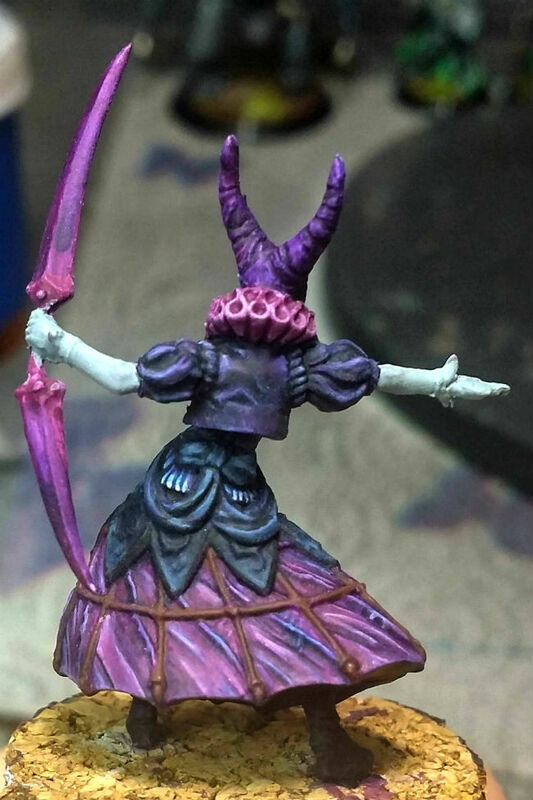 I’m having a horrible time picking colors on this model, and I really don’t know why. I started out with a strong idea of what colors to use, and somehow it didn’t work out. Hopefully she will come together in the end!